Ganoderma is a common abbreviation for the mushroom species called Ganoderma lucidum, or reishi mushroom. 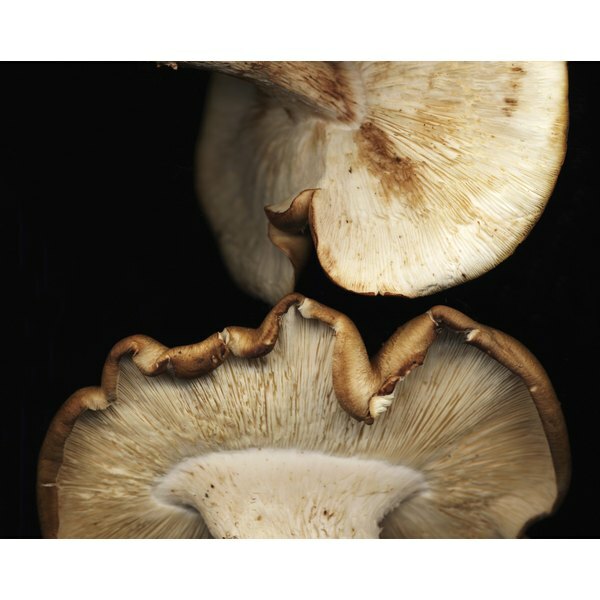 This mushroom has a significant history of usage in China and other Asian countries, and it's sometimes used in the U.S. as an immune system booster for people with cancer or HIV/AIDS. Reishi use can potentially trigger a number of mild or serious side effects. Speak with your doctor before using a mushroom product labeled as Ganoderma or reishi. Reishi products are obtained from both the caps and stems of G. lucidum. Memorial Sloan-Kettering Cancer Center lists active ingredients in the mushroom that include long-chain sugars, or polysaccharides, called beta-D-glucans and substances called proteinase triterpenes. Additional constituents of the mushroom include amino acids, vitamin C and substances classified as glucosides, alkaloids and lipids. The beta-D-glucans in reishi appear to achieve their effects by suppressing tumor formation and stimulating the immune system. The triterpenes appear to achieve their effects by suppressing the spread of cancer cells and reducing high blood pressure and allergic reactions. Common side effects of reishi use are typically mild and can include skin irritation, dizziness and gastrointestinal distress, according to Drugs.com. In two separately documented cases, use of powdered reishi mushrooms resulted in toxic reactions in human liver tissue, Memorial Sloan-Kettering reports. In one of these cases, the affected person died. In a third situation, long-term consumption of a powered reishi extract by a man with non-Hodgkin’s lymphoma led to the onset of chronic diarrhea. The safety of reishi mushroom preparations has not been determined in pregnant or lactating women, Drugs.com notes. In people who take anticoagulant medications, use of reishi can potentially increase bleeding risks. Use of reishi can also potentially interfere with the effectiveness of certain chemotherapy medications. If you take immunosuppressive medications, use of reishi can potentially offset their effects by boosting your immune function. In addition, the polysaccharides in reishi can stop the activity of specialized proteins, called enzymes, that your body relies on to properly break down certain medications. Reishi extracts are commonly taken in modern China in doses that range from 6 to 12 g per day, Drugs.com reports. However, few clinical trials have been performed to study reishi’s effects in a scientifically rigorous environment. In the few existing trials on reishi, polysaccharide extracts from the mushroom were safely given in doses as high as 5.4 g per day. Consult your doctor for more information on the safety of reishi use in your particular set of circumstances.